The new direct print defrosters and heaters can be printed directly on glass, polycarbonate, FR4 and many other substrates. The defroster is designed in CAD and then printed directly on the surface to be heated. Custom defrosters for Polycarbonate lenses, LED lighting defrosters and may other heated applications are possible. New General Motors (GM) Bulletin 16-NA-171: Repair Information of Reconnection of Rear Window Defroster Contact or Tab. This bulletin recommends the 2000 Tab Bonding Kit for the reconnection of defroster terminals to the rear defroster. New truck cap/topper window defrosters! Clear View truck cap and topper rear window defrosters fit any cap including Leer, Snug Top, Ranch. ARE, ATC, Unicover, Century and most others. Now available in two sizes new Clear View cap defrosters make it easy to install a high quality defroster for better visibility and safe winter driving. Now available in three sizes the new Clear View aftermarket van rear window defrosters fit any van including Transit, Promaster, Nissan NV, Sprinter, Econoline, Express and most others. The 2X design is much easier to install, features better defrosting performance and are less expensive. 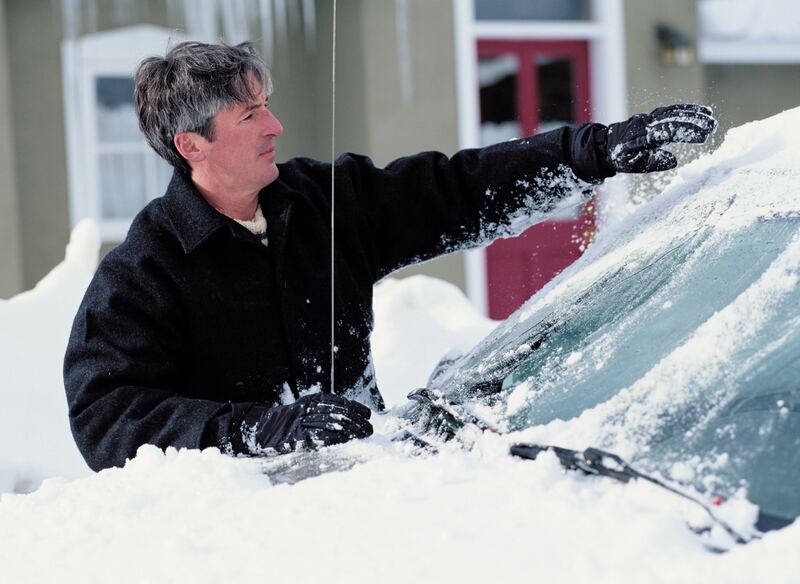 The defroster heating elements that run across the rear window can be scratched causing a few elements not to defrost. This video shows how to fix damaged defroster grids and save the expense of glass replacement. Take a look at the Doctor’s video page. New 2120 Frost Fighter Grid Repair material features improved electrical properties, better bonding and uses the heat from the defroster to flash cure the repair for fast defroster grid repairs. This improved flash cure is a breakthrough product improvement. New Clear View II Front Wiper Parking Area Defrosters provide enhanced defroster performance along the bottom of the windshield in the wiper parking area to cut snow and ice buildup and keep wipers moving even in the most difficult winter conditions. Single and two piece windshield defrosters available. Mounted low along the bottom of the front windshield Clear View FWH defrosters limit snow build up and stop wiper freezing even in the toughest weather. Now in High Density (HD) with closer heating element spacing for better defrosting. Available for single and two piece windshields. Clear View defrosters can be applied directly to existing windows and match the look and performance of factory defrosters clearing frost plus melting snow and ice in minutes. Now available in many new sizes for defrosting tractor cabs, back windows and hundreds of other vehicles. In the Doctor Defroster Video Series the Doc shares his years of experience with troubleshooting and repairing defrosters including tips and tricks for using Frost Fighter and Clear View kits. This series shows hos to repair the most common defroster damage, save expensive glass replacement and be back on the road in no time. Rear window defroster damage can be repaired with new Frost Fighter kits, saving the cost of down time and expensive glass replacement. The estimate is that only about half of new trucks come with a rear defogger. If you live in snow country you know a decent rear window defroster can be handy on those cold winter mornings or when the going gets tough in bad conditions. Clear View are easy to install rear window defrosters for Ford, Chevrolet, Toyota, and Dodge pickups plus most other makes and models. Clear View II Defrosters are now available in hundreds of new sizes to fit almost any window. New electronics and bonding technologies match the look and performance of factory installed defrosters. Available in 12 and 24 volt. New Clear View ThermaSync defroster controls are now available in four models from simple automatic relay timing to more sophisticated units with power modulation, adjustable automatic timing and one switch control of multiple defrosters. Available in 12 and 24 volt. Switch Boss networks ThermaSync defrosters controls allowing multiple defrosters to be operated from a single switch. 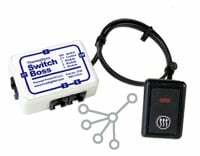 Switch Boss is ideal for tractors, equipment cabs and other applications in which Clear View defrosters must be activated from a single switch. 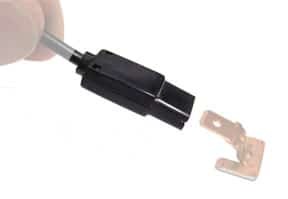 Easy to attach to existing defroster wiring using common tools the Uni-Con connector installs in minutes and connects to all defroster tab makes and models. Uni-Clip defroster replacement tabs are factory quality replacements for lost or missing defroster tabs. These hard to find tabs fit the most popular rear window defrosters from Ford, Toyota, Nissan, GM, Subaru, Chrysler and many others. Tabs are conductively bonded back to the defroster with the Frost Fighter Tab bonding Kit. Installing ThermaSync defroster controls and Clear View defrosters is easy with the installation kit. Everything is included from the wire harness, fuse and holder, power splice, wire ties and connectors. This kit comes standard with Clear View II defrosters.